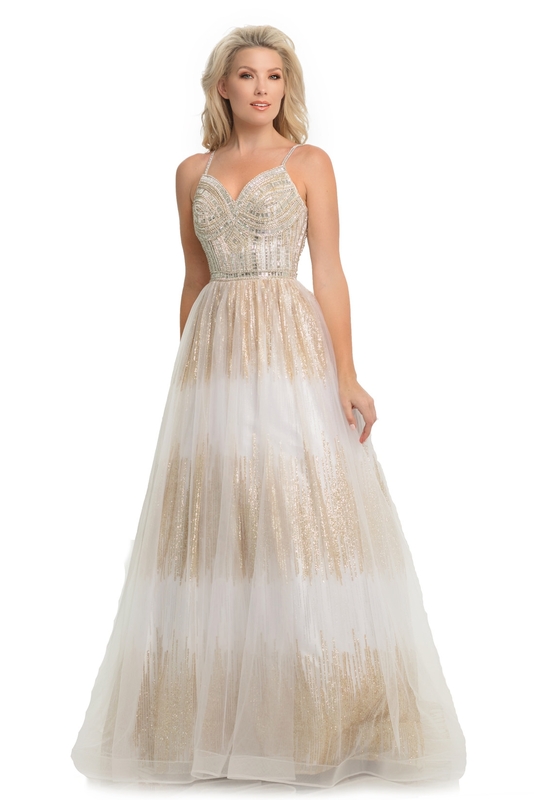 Shimmer and shine while wearing this Johnathan Kayne 9067 Glitter Print Mesh ball gown. This dress has a sweetheart neckline and thin straps. The bodice is completely covered in beading so you will sparkle and shine. There is glitter throughout the skirt! The skirt is made from a tulle material and this dress has a zipper enclosure.